ROLL UP dear puppet peeps – this is your last call for Early Bird Discounts for our fabulous and varied 2017/2018 Workshops and Courses. Peruse your options and hit the PAYPAL button to secure your place. We’re looking forward to working with you soon. 2017/18 Puppetry Courses for Adults – booking now with Early Bird DISCOUNTS! WELCOME to our 2017/18 programme of brilliant puppetry training for adults. We are really pleased to announce that bookings are now live! We’ve been working hard behind the scenes to put together an excellent programme for this year that builds on our most popular courses, offers some new adventures and experiments with different formats for sessions to fit around your existing life / work commitments. New courses include the thrilling Calling all Witches exploring puppetry shamanism and [re]-animation with our very own sorceress, Is Smith; Kickstart Your Puppetry – a one day crash course guaranteed to get you devising fab new puppetry work; and some themed Making courses – creating Puppet People and Puppet Creatures – which will bring you a variety of making techniques, materials and styles that will bring your puppetry ideas to 3-dimensional life. Elsewhere, you get a second chance to investigate Puppetry and Storytelling and Puppetry and Therapy, both sell out new courses last year and 17/18 also returns to some of our most popular and acclaimed courses, including essential core skills session Puppetry Fundamentals; the rich artistic playground of Shadow Worlds and our two unique long-term creating courses – Develop a Short Puppetry Show and Writing with Puppets. Excited? We are! And, best of all, there a 10% discount for all courses booked before September 1st. We look forward to welcoming you to a brilliant BPS puppetry course soon. PS if you’d like to meet us and chat about any of your plans for next year, don’t forget it our end-of-term show next Thursday July 20th at the Spire and we’d love to see you there! At our Puppetry Intensive Summer School this June we’ll be digging into the chalk of a very Sussex story. Giants will be striding once more across the Downs while the village folk cower beneath their steeples. It is a world where the hare and the roe deer run free and the chalk speaks; a world of campfire tales, ancient rivalries, life and death struggles, and where the natural world is a playground for the magical. Taking as its inspiration the story of the Long Man of Wilmington and his competition with the giant of Firle Beacon, the six-day school will investigate the ways puppetry can bring fable and landscape to life through brilliant performance, highly crafted making and unparalleled storytelling possibilities. Students will explore group and solo performance in different types of puppetry, design and devising alongside puppet and set making to gain a uniquely rounded understanding of the art and potential of contemporary puppet theatre. 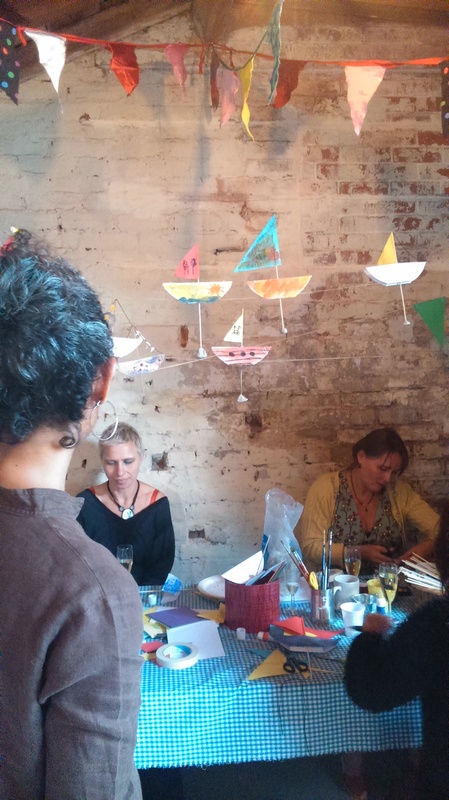 The Summer School runs June 25th – June 30th, culminating in a performance on the evening of Thursday June 30th at the Spire in East Brighton. For further info or tickets please drop us an email. 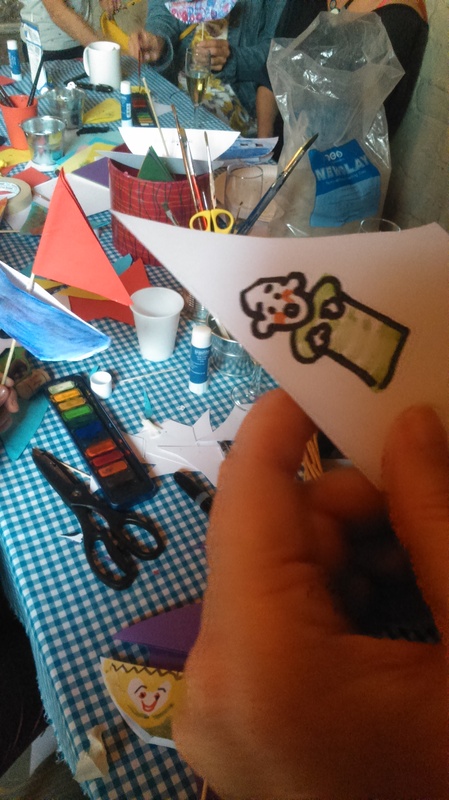 Puppetry Fundamentals is now FULLY BOOKED! We are delighted that our Puppetry Fundamentals course is now fully booked, if you have missed the boat with this course please register your interest via our contact form and we’ll place you on the reserve list, we’ll also know if we need to schedule it again soon. 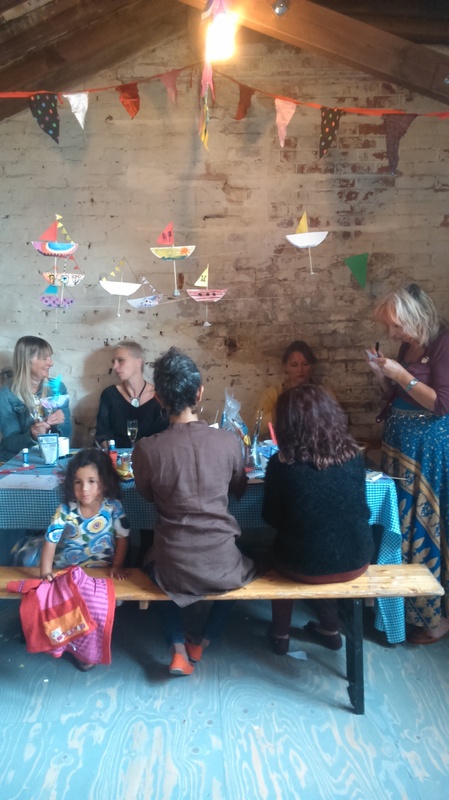 Thank you puppet people who made it to our launch last Sunday, it was great to see you and thank you for helping us by making beautiful little boats to launch alongside our Brighton Puppetry School long boat. We are now thoroughly launched and ready for business! 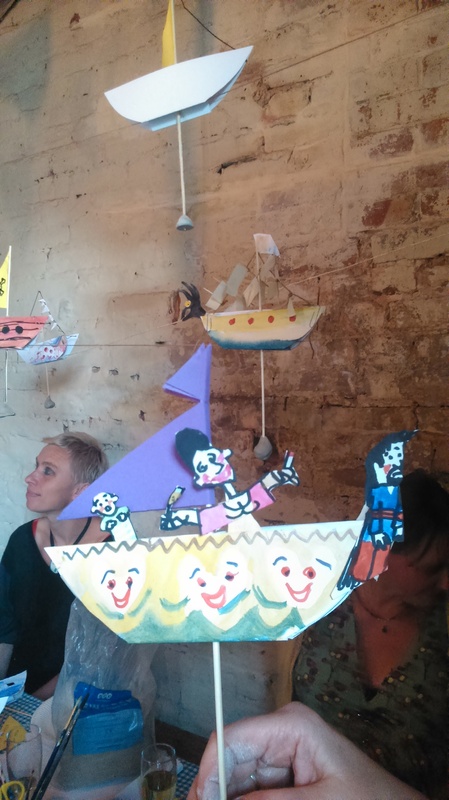 The puppets we will be making on this two day course are designed to be easily manipulated by one pair of hands. With speedy paper mache head and hands and a floaty scarf/cloak body they allow for lots of expressive movement. Brighton Puppetry School’s next course: CREATING A SOLO PUPPETRY PERFORMANCE picks up where the making course ends, giving you time to explore your puppet’s movement and begin working on a solo performance. You can BOOK HERE on any of our courses. See you at a workshop soon! Puppets for the Small Stage: a course over six evenings to make a performance-ready mid-sized puppet to your own design. From design and character to structure and joints, this course will guide you through the processes and techniques necessary to make a fully functional jointed puppet ready to take away and put to work on the small stage. This focused and intensive course will take participants through some key methods for making quality performance material with puppets. It is suitable for participants with puppet(s) they are interested in working with, and some initial thoughts of a story they’d like to tell, or ideas they’d like to express through their work.